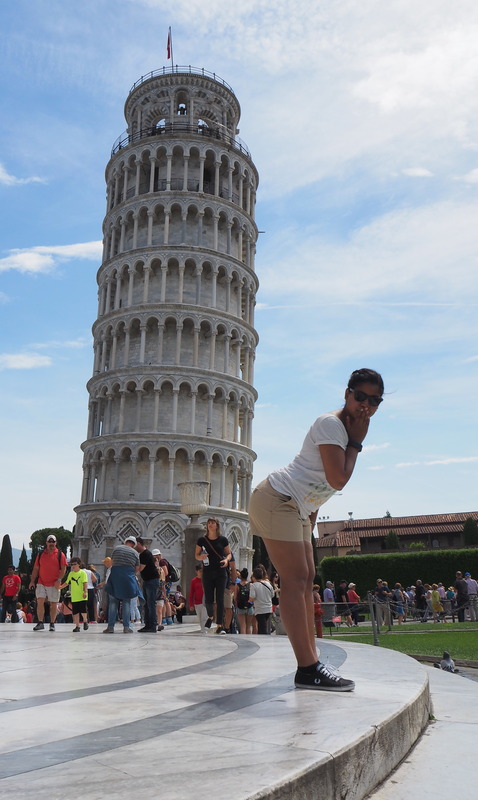 My recent trip to Italy was one of pure decadence, particularly from a foodie perspective. 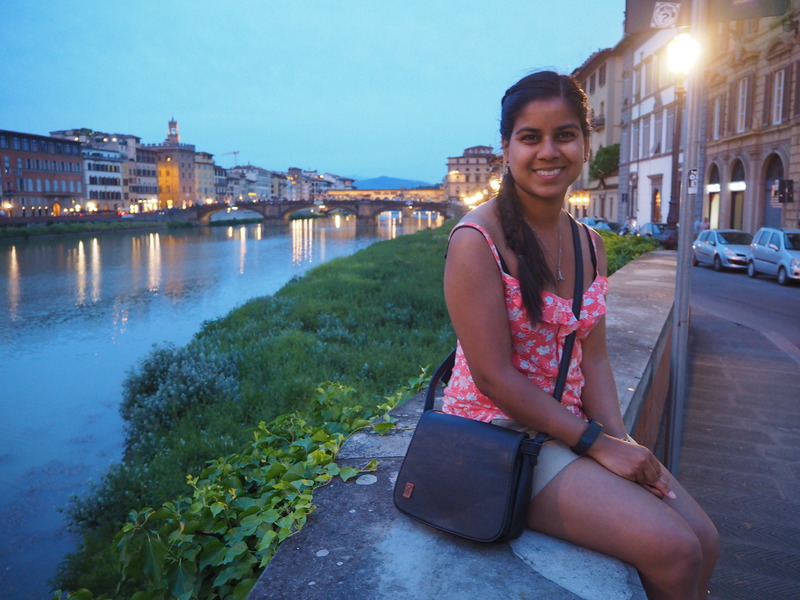 We ate gelato every day (some tips on that here), indulged in pasta and pizza, but most importantly, we discovered the truly incredible Italian panini. The porchetta meat. 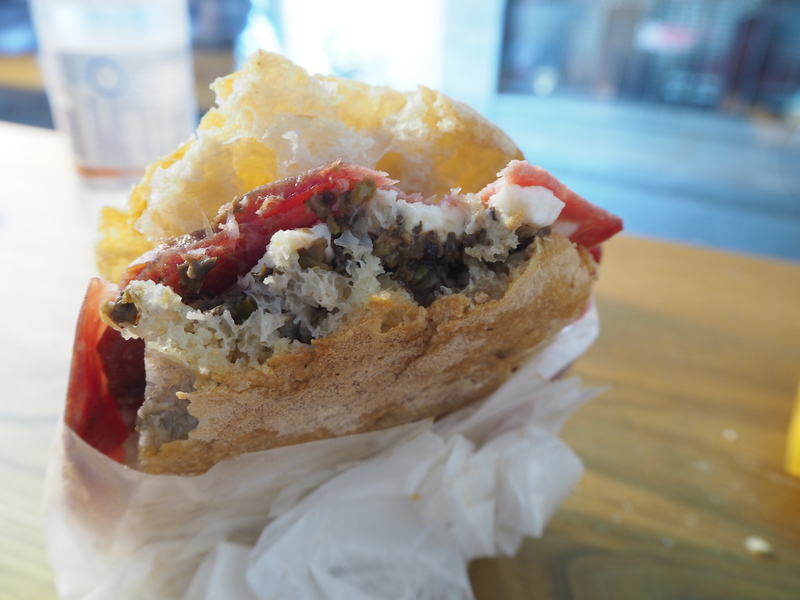 The man in the shop sliced it off the hunk, and then fried it for five minutes before adding it into the sandwich, along with freshly fried mozzarella, olive tapenade, and roasted zucchini. The love and time spent in making it. We waited nearly ten minutes to eat it, but it was worth every second! The price. 5 euros for the best sandwich of my life? Bargain. Please note that Gusto Giusto is closed on Mondays. 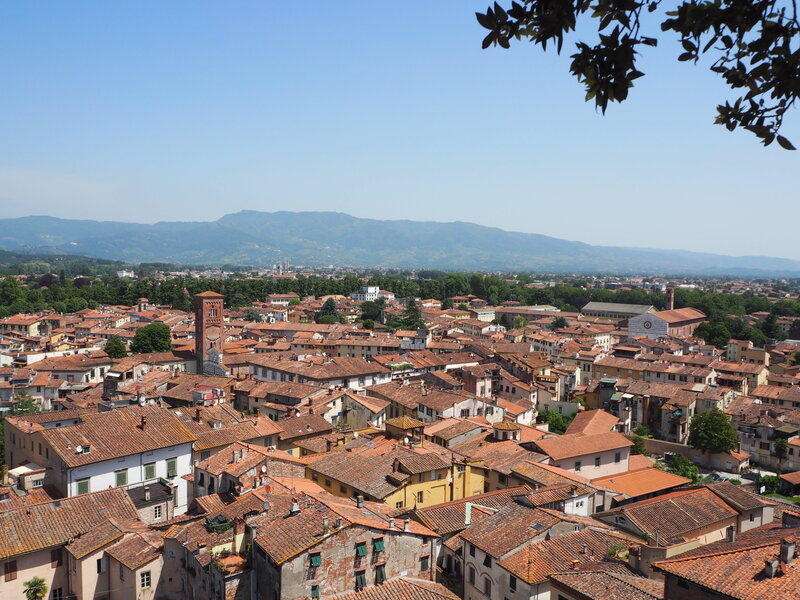 Lucca is a stunning little medieval town, only a short train journey from Pisa and Florence. We spent a day there and particularly adored the Torre Guinigi, a tower with a perfect view of the city, whose top was covered in trees. 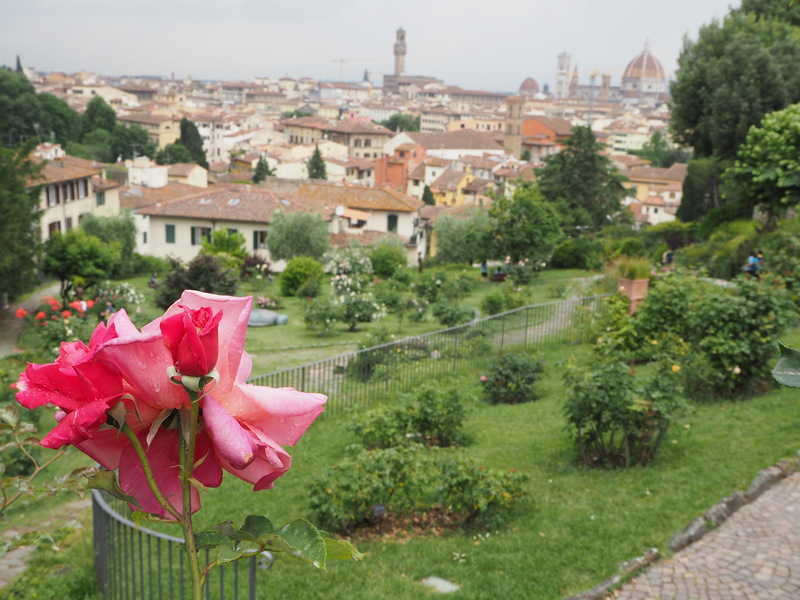 We spent the afternoon walking the city walls, and decided to intersperse our walk with, you’ve guessed it, a panini. 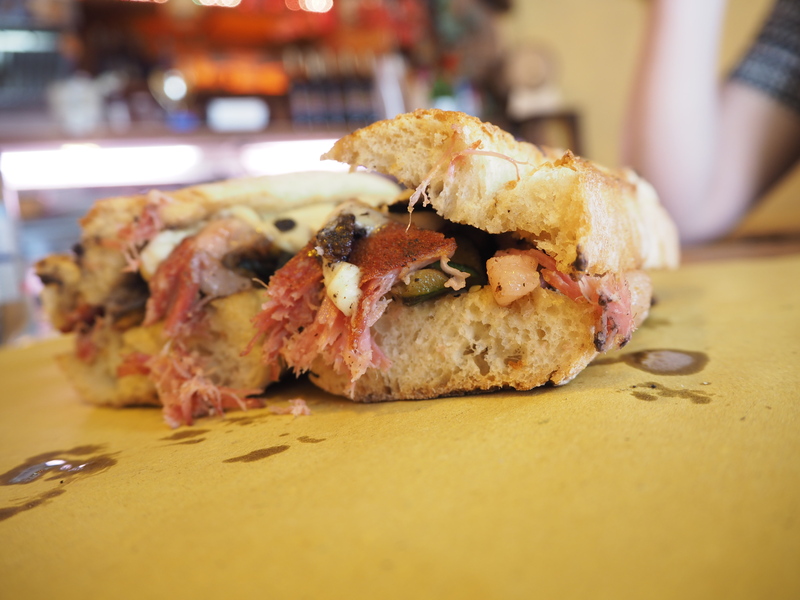 We quickly looked up the best sandwich shops on Tripadvisor, and ended up at Pan di Strada. This time, we chose ham, burrata, and … truffle cream. Another hole in the wall, this time with a gigantic menu (there must have been over 200 types of panini), their bread was slightly too crispy but stunning nonetheless. I was blown away by the truffle cream, which was out of this world, and the burrata was as melty and stringy as anything I could ever have dreamed of! 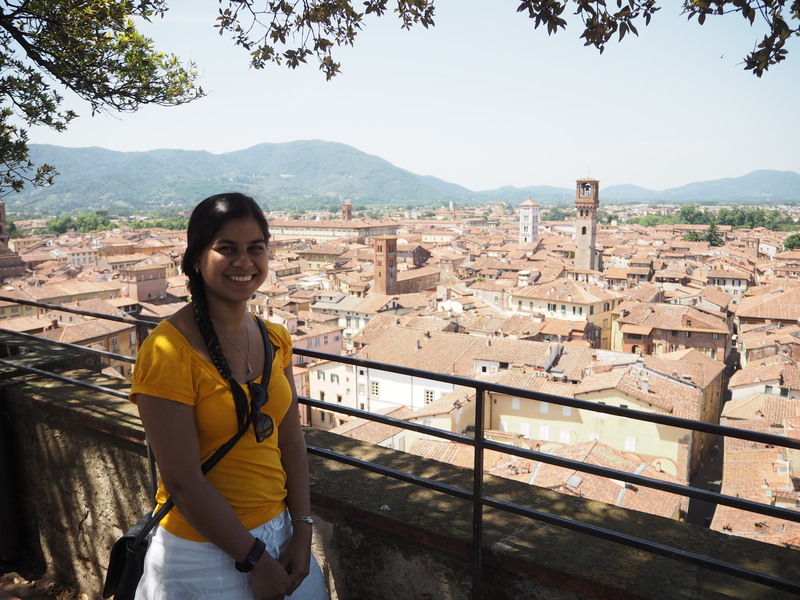 No photos of this one unfortunately, as we gobbled it down, but here is another vista from Torre Guinigi instead! 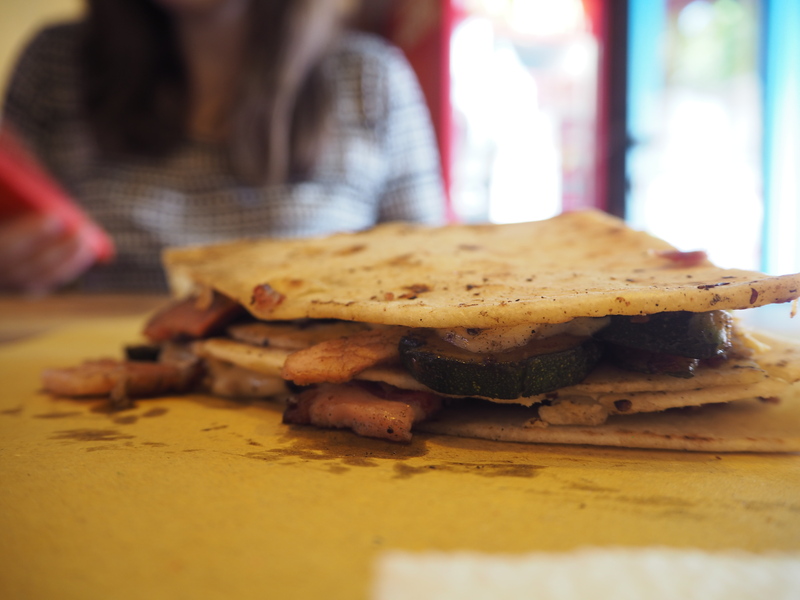 I will never forget my Pisa piadina, and so, the next time you’re visiting Italy, I strongly urge you to consider a simple panini instead of a pizza or pasta for lunch. It might just be the most delectable surprise of your trip!